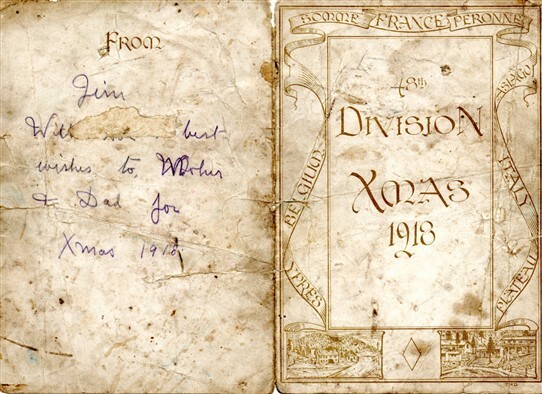 James Bridge, my great uncle sent this 1918 Xmas card to his Mother and Dad (my Gt Grandparents) whilst in Italy during the latter stages of WW1. 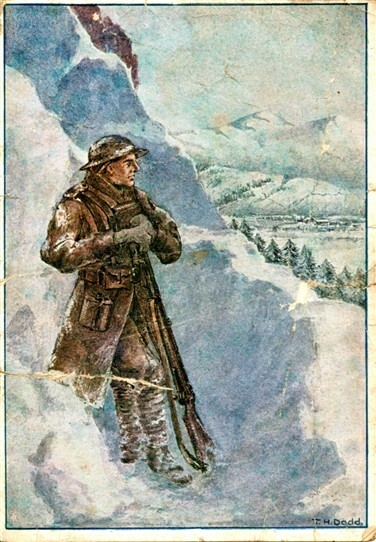 The snowy scene is an acknowledgement of the northern Italy location, just under the Alps, where he fought in battles at Montello, Asiago and Ambrosini. All were part of the WW1 Italian Front. For more about James' WW1 service view the excellent page on this site James Bridge - WW1 Service written by his granddaughter.